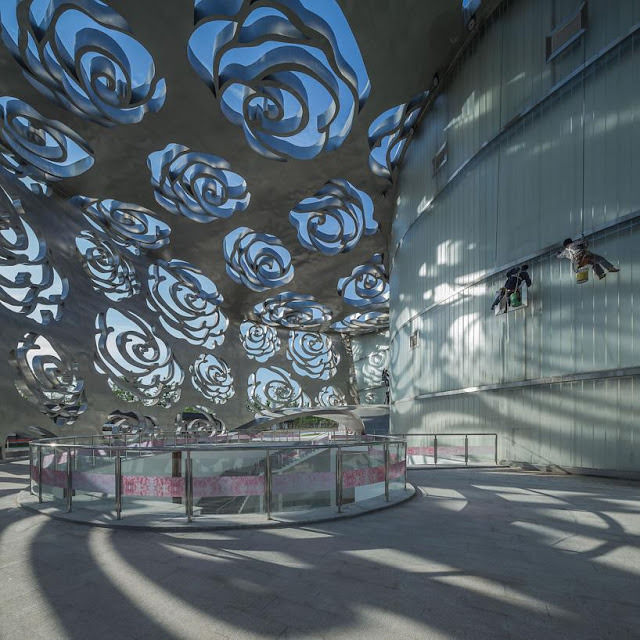 ose Museum by NEXT Architects opens in Beijing with striking floral façade Archi-new - Free Dwg file Blocks Cad autocad architecture. Archi-new 3D Dwg - Free Dwg file Blocks Cad autocad architecture. 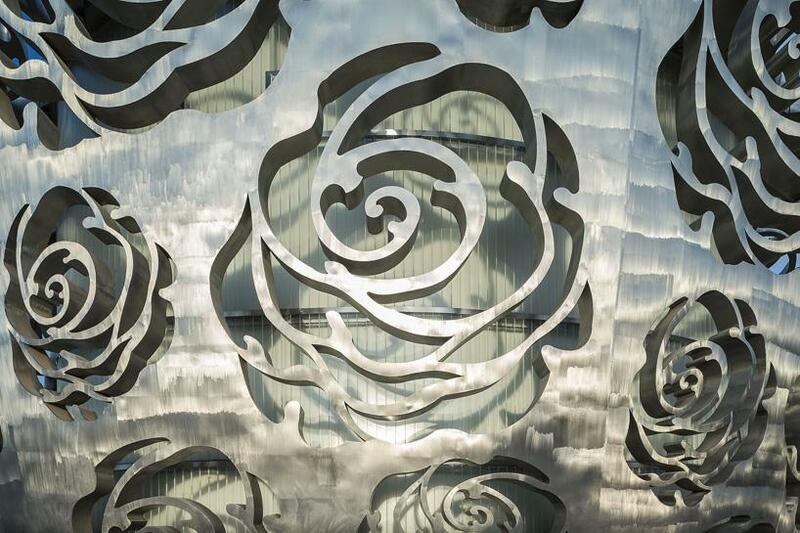 The first museum in the world to be dedicated entirely to roses has opened in Beijing, with a design packed with motifs and references to the flower. The distinctive Rose Museum, designed by NEXT Architects, is a solid volume covered by a detached silk-like skin of stainless steel with a pattern of cut-out Chinese roses. 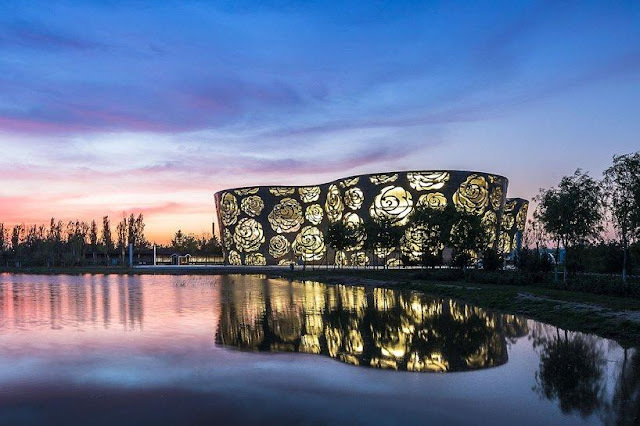 This 300m (984ft) long, 17m (56ft) high façade extends outwards from the main museum building, creating four half open public spaces which act as a modern interpretation of a traditional Chinese courtyard. 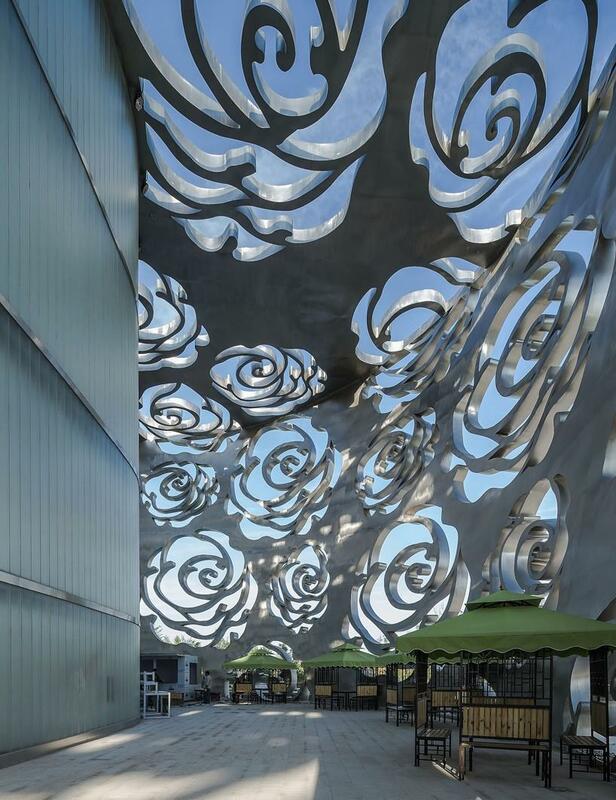 During the day, shadows of the roses dance across the floor; at night, the building inverts itself and the roses cut into the museum’s façade light up. The museum – which was developed by the Beijing Tianheng Building Design Consulting Company – houses exhibitions on the history, science and cultural importance of roses in China and around the world. Rose gardens are featured, alongside displays advising on the best cultivation techniques. Horticulturists in ancient China bred wild roses, and the flower soon came to symbolise peace, love, friendship and perpetuity in Chinese culture.